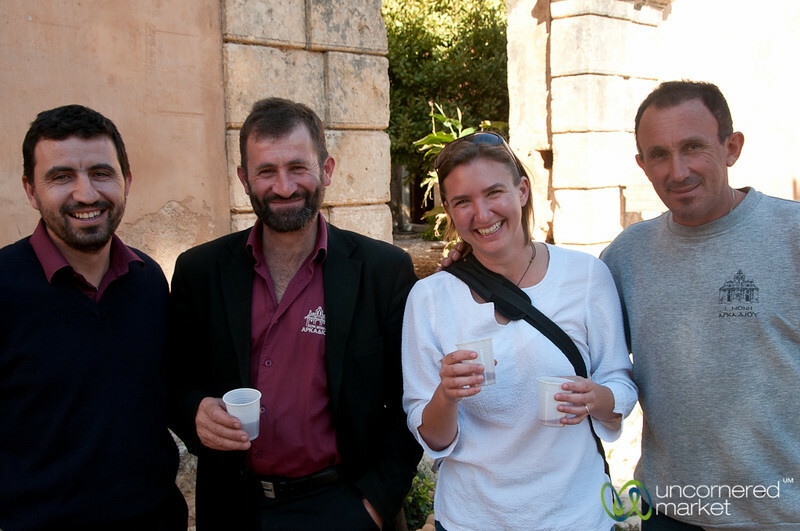 During our visit to Arkadi Monestary our guide knew all the people working there. Within minutes they brought out wine from the monestary grounds for us to try. Good times. Crete, Greece.